In Notorious Vow, Russell rode a dark bay Irish bred hunter. An expensive horse, this gelding was the product of cross-breeding that became increasingly popular for hunting enthusiasts. These mounts typically have English Thoroughbreds and hardy Irish draft horses in their parentage to combine speed with durability over difficult terrain that nineteenth century fox-hunting demanded. Seventeen hands tall, Russell’s mount was fitting for the earl and lent an intimidating presence when his lordship intercepted Vivien on the deserted path in Hyde Park. A hunter must jump fearlessly and without hesitation. Especially fences that are not only high, but wide in breadth, like this stream below. I like how the horse eyes the water as he passes over, a flinching that could prove fatal to the rider’s seat. Russell took care to select a hunter that was nearly impervious, except when Vivien’s own horse, Thor, snorted at him! At one point, Russell seeks out Lord Harcourt, his mentor from an earlier time, for advice. 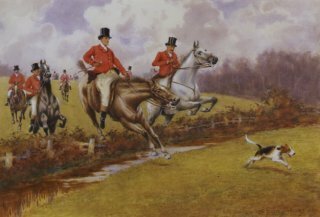 Harcourt has the happy circumstance of owning a hunting box near Melton Mowbray, and it is there Russell finds him after the Season in London is over. He has to explain his interest in Vivien’s disgraced cousin, Lord Griffin Montgomery. 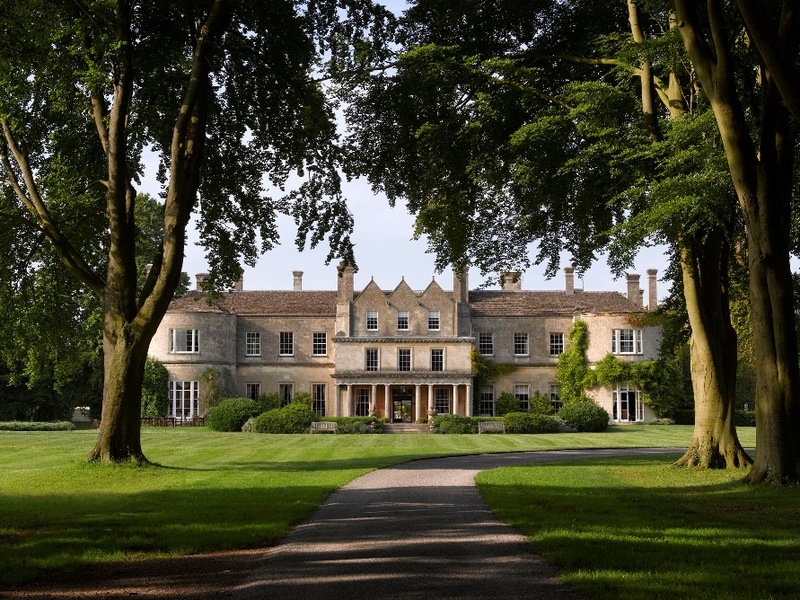 Hunting boxes could be as small as cottages, but in Harcourt’s case, his hunting box was the size of a large manor house, similar to Lucknam Park pictured here. This entry was posted in Notorious Vow, Regency and tagged Irish bred horse Melton Lucknam Park by Angelyn. Bookmark the permalink. Oh, I love this! I had no idea that hunting boxes might be that large. Wonderful info on Russell’s horse.